Social animals often establish “pecking orders” or social hierarchies. In crowded social situations one individual must wait patiently while another eats or occupies a choice perch. Rather than fight a bloody and dangerous battle every time access to a resource is being contested, they establish early on who will have priority in any pairing. In a recent report, the research group led by Professor Hailan Hu at Zhejiang University appears to have mapped the neural circuits that underlie this social structure, and have developed a remarkable method for turning loser mice into winners. 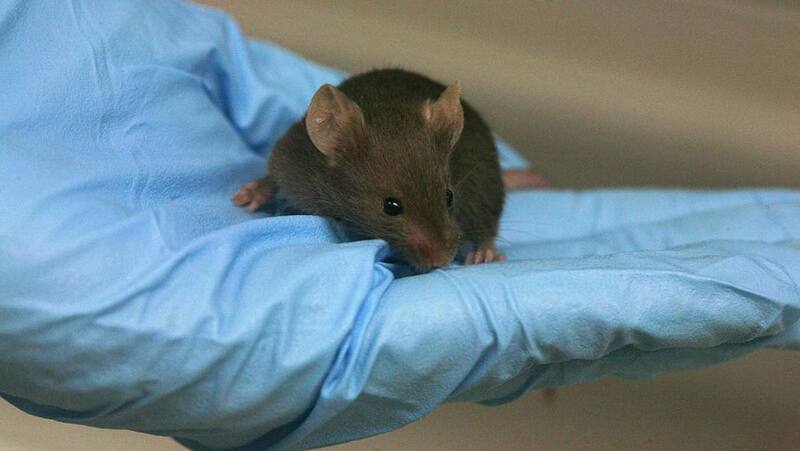 The Hu group tested four mice at a time in two different situations. In the first, two mice are put in opposite ends of a narrow tube. One of them has to back up and retreat. Typically, when they meet in the tube the mice push back and forth, nose to nose, and whoever is motivated to persist in pushing will eventually force the other mouse backwards. The four mice established a dominance hierarchy over time, with the mice ranked 1 through 4. In the second situation, the mice are put in a cage with a cold floor. There is only one heated section that is nice and cozy. Higher ranked mice spend more time in the cozy spot. The Hu group investigated the brain structures that produced the motivation to persist and win in these situations. Almost all cells move ions across their membranes until they establish a slightly negative charge. Neurons are remarkable because they can become less negative in response to the signals they receive. The activity of neurons can be measured as a change in the charge across their membrane, and in this study the investigators identified a population of neurons in the dorsomedial prefrontal cortex of the brain that were active when mice were persisting in a conflict and when they didn’t give up. Neuron behavior can also be modified by neurotransmitters that activate or inhibit activity. Neurotransmitters are chemical signals that act on neurons in a way similar to hormones. These kinds of signals only work when the target cell has receptors for the specific chemical signal. The Hu group applied a virus, carrying a gene for a neuron-inhibiting receptor that responds to an artificial hormone, to the dorsomedial prefrontal cortex. In this elegant experiment, only the neurons with this artificial receptor will be inhibited by the artificial hormone. This receptor is called a DREADD (Designer Receptor Exclusively Activated by A Designer Drug). When the designer drug was applied to the modified neurons of the dorsomedial prefrontal cortex, winner mice became losers. The Hu group used a third strategy to study these neurons. This experiment used optogenetics in which the channelrhodopsin gene is introduced into cells by a virus. Swimming unicellular plant-like algae use channelrhodopsin to respond to light by swimming towards it. At a molecular level, it lets in positive ions to a cell. When this protein is added to the repertoire of neurons, they gain the ability to be activated, or become more positively charged, when exposed to the right wavelength of light. Scientists can direct light to a single neuron or group of neurons through fiber-optic cables, activating them. Pama, E. A. Claudia; Colzato, Lorenza S.; Hommel, Bernhard (2013-01-01). "Optogenetics as a neuromodulation tool in cognitive neuroscience". Frontiers in Psychology. 4: 610. PMC 3764402  . PMID 24046763. doi:10.3389/fpsyg.2013.00610. The Hu group introduced the channelrhodopsin gene to the neurons of the dorsomedial prefrontal cortex and fitted the mice with a fiber optic rig, so that they were able to activate these neurons at will. When modified mice were introduced into the narrow tube standoff and the dorsomedial prefrontal cortex activated by light, they became much more likely to persist and force the other mouse to back away. They turned from losers into winners with the flick of a light switch. The bigger losers needed more intense light stimulation to move up in the social ranks. The winning mice did not display greater strength or aggression but merely greater persistence. Interestingly, the mice became much more likely to remain winners if they were optogenetically urged on to victory at least six times in one day. Mice that were juiced-up to win less than six times slipped back into their old loser habits. Mice that were artificially enabled to win more times in one day seemed to have permanently changed into higher-status mice. One could imagine that in the wild, some mice have the potential to be high rank or low rank, but merely by random chance they accumulate enough wins in social contests to cement their behavior as high-ranking mice. The permanent conversion into winners seemed to depend on the communication between the dorsomedial prefrontal cortex and another part of the brain, the thalamus. When these connections are optogenetically enhanced winning behavior is reinforced. When they are inhibited, winning habits are erased. When mice learn to be winners in the narrow-tube test they take their success with them as they face other challenges. For example, winning mice are able to assert their access to the only cozy warm spot in a chilly cage. Professor Hailan Hu’s group has devised a convincing argument in support of the importance of the dorsomedial prefrontal cortex in establishing social hierarchies. They correlated its activity with persistence. They showed that its deactivation was associated with losing, and that its activation was associated with winning. It is fascinating to think that persistence in the face of adversity can be described in terms of cellular activity. Nemo, L., 2017. Pinpointing the Brain’s Motivation Switch. Scientific American, 13 July. Pama, E. A. C., Colzato, L. S. & Hommel, B., 2013. Optogenetics as a neuromodulation tool in cognitive neuroscience. 4: 610. Frontiers in Psychology, Issue 4, p. 610. Zhou, T. & al., e., 2017. History of winning remodels thalamo-PFC circuit to reinforce social dominance. Science, 357(6347), pp. 162-168.